Are you facing a career predicament? Unsure where to turn? a high performer with a drive for achievement and feeling dissatisfied? struggling to integrate your professional and personal roles? needing to be more effective as a manager or leader? uncertain how to make a career transition? needing to advance and/or strengthen your professional brand? suffering with a difficult supervisor? in a job that no longer fits your life stage and priorities? experiencing work-related stress, anxiety, depression or burnout? Consider the benefits of working with a knowledgeable, energetic, and resourceful strategic thinking partner, who will engage you in an inspiring, supportive, and practical career development process. .
recognize the powerful connection between poor job role fit, high distress, and the risk for burnout. Extensive career development expertise has provided Kathleen with a bone deep understanding of the issues facing individuals at every stage of the family and career life cycle. Her Essence Guided Career Model is specifically designed to support those seeking to live to their full potential. 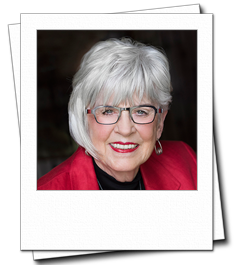 An advanced certified personal and executive coach, counselling psychotherapist and certified stress consultant, Kathleen is the source for effective career strategies. If you are ready to engage in an indepth career focused growth experience, explore this site to learn more about Kathleen's services. Call today to arrange for a 30 min. complimentary telephone consultation: 780-752-4015. CAREER is a lifestyle concept involving all of a person's roles (paid work, personal, learning, leisure). An individual's career is unique and dynamic as it unfolds throughout the journey of life. "Every person has the wisdom to create a meaningful life with Essence as their guide." "You possess a kind of inner force that seeks to guide you toward...what you are meant to accomplish in the time that you have to live....The first move is always inward - learning who you really are and reconnecting with that innate force.....you will find your way to the proper career path and everything else will fall into place. It is never too late to start this process."